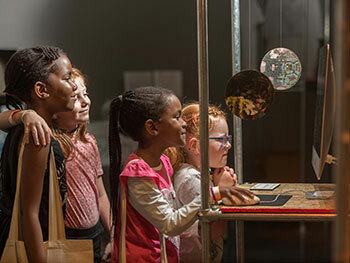 From starring in your own play, jewellery making and designing your own railway, to science experiments, craft workshops and a Commonwealth Games-inspired sports day, Birmingham City University will be throwing open its doors to the public once again on Saturday 9 June for a unique, hands-on experience. The University’s second Inspired Family Day will welcome families for an action-packed day of free and fun-filled events and activities for all ages between 11am and 4pm. Taking place at Birmingham City University’s City Centre Campus, situated in the heart of Birmingham’s Eastside, the family festival will introduce youngsters to the range of subjects on offer at the institution and showcase potential career options. 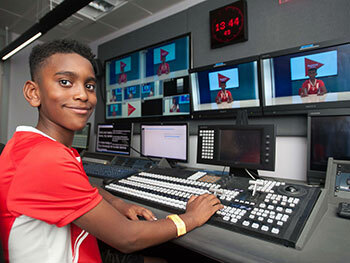 Highlights of Inspired Family Day include drop in, make-and-take sessions for the under 10s, while young adults can have a go at making their own television programme in one of the University’s state-of-the-art broadcasting studios. Elsewhere, as construction for High Speed 2 (HS2) gets underway in Birmingham, youngsters will be able to enter the Magical Academy of Invention to design the trains, stations and platforms of the future, and budding fashionistas can to try their hand at one of the festival’s jewellery and textiles workshops. Plus, Birmingham Hippodrome will be taking part and offering groups of youngsters the opportunity to write, direct and star in their own play which will be performed at the end of Inspired Family Day. Ahead of ‘Matilda The Musical’ coming to the city over the summer, the theatre will also be inviting youngsters to learn how to draw one of Roald Dahl’s most iconic characters – with the best ones winning tickets to the play itself at Birmingham Hippodrome. Coupled with this, there will be the opportunity to meet with world-class academics, who are training the next generation of creative professionals. Inspired Family Day will officially open Birmingham City University’s Inspired Festival, now in its fifth year. It showcases the talent of the institution’s final year students in disciplines such as film, art, architecture, fashion and photography. 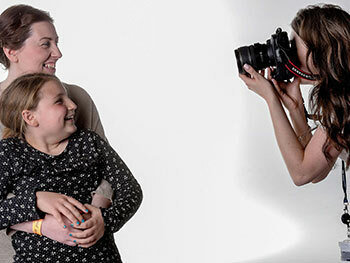 Visitors to Inspired Family Day will get the opportunity to see many of the student’s exhibitions in the University’s £62 million Parkside Building, which boasts cutting edge facilities – including Europe's largest static green screen. “We hosted the first Inspired Family Day in 2017 and were delighted that hundreds came from across the region to enjoy our largest ever family event. This year, we are working even harder to deliver a bigger programme of unmissable events and activities for everyone to enjoy for free. “Our institution is defined by the city it is rooted in and events like these allow us to showcase the positive cultural and economic impact we are making locally, regionally and internationally. By introducing the next generation to all the amazing subjects they can study here, youngsters can see first hand how their future will benefit themselves and the wider world. The University’s Parkside Building is always bursting with activity, but it will be fantastic to see our City Centre Campus full of families once again, welcoming children eager to learn more about what we do, and engage with the work of our academics and students. During Inspired Festival the public will be given the opportunity to take part in a series of workshops focussed on enhancing creativity, and all events and activities will be showcased using the hashtag #BCUinspired. Further Inspired Festival events will be held at the University’s City Centre Campus in Birmingham’s Eastside as well as Birmingham School of Jewellery and Birmingham School of Art, ranging from music and literature performances to fashion shows and innovative technology demonstrations.